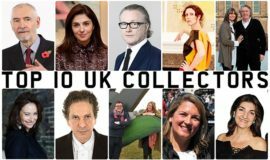 What makes a city an art market centre? 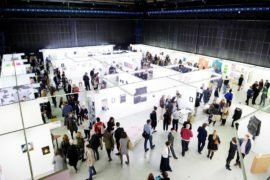 Hosted by The Manchester Contemporary in September 2016, the Fair Cities symposium brought together a number of speakers to discuss the ecologies and infrastructure of developed art markets in the key cities of Basel, Brussels and London. As a partner in the event, a-n captured the insights of these international art world professionals to produce a new set of video resources. In this short introduction Paulette Terry Brien, co-director of International 3, and co-curatorial co-ordinator of The Manchester Contemporary, sets the context for the symposium Fair Cities. 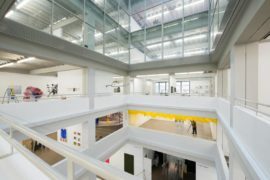 Leila Alexander, of White Cube and Leila Alexander Consultancy, discusses top tier art market activity and considers London and her experience of the blue-chip gallery system in relation to the infrastructure of Manchester and the wider North West region. Art fair co-director Liv Vaisberg discusses the ecology of Brussels and how recent press attention has reframed the city anew, in relation to the growth of the art market. 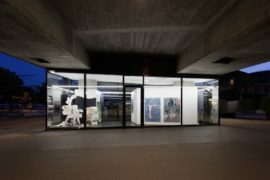 Alys Williams, Director of VITRINE, London, discusses her recent gallery expansion to Basel and how the city is a key player in international market activity. 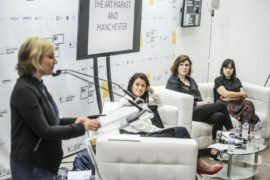 Paulette Terry Brien chairs a panel discussion with Leila Alexander, Liv Vaisberg, and Alys Williams, exploring the ecology of key art market centres in relation to the context of Manchester and the North West of England.